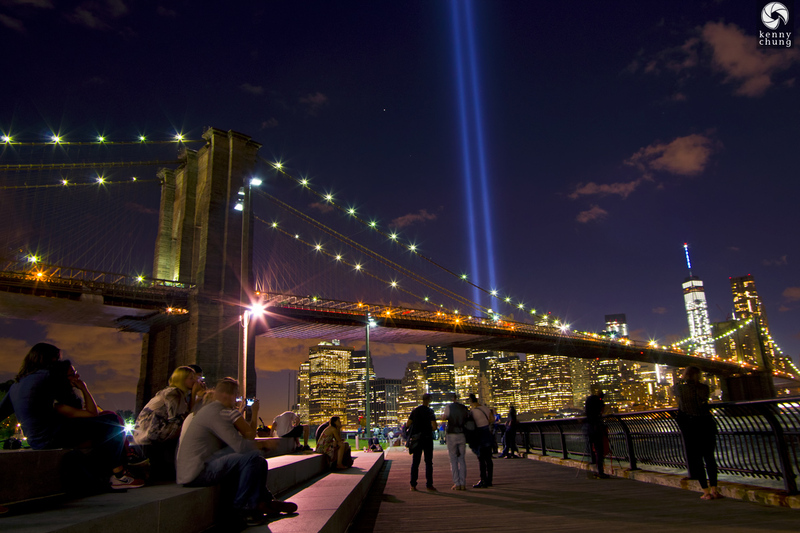 Since my teenage years, September 11th has helped mark the passing of time. 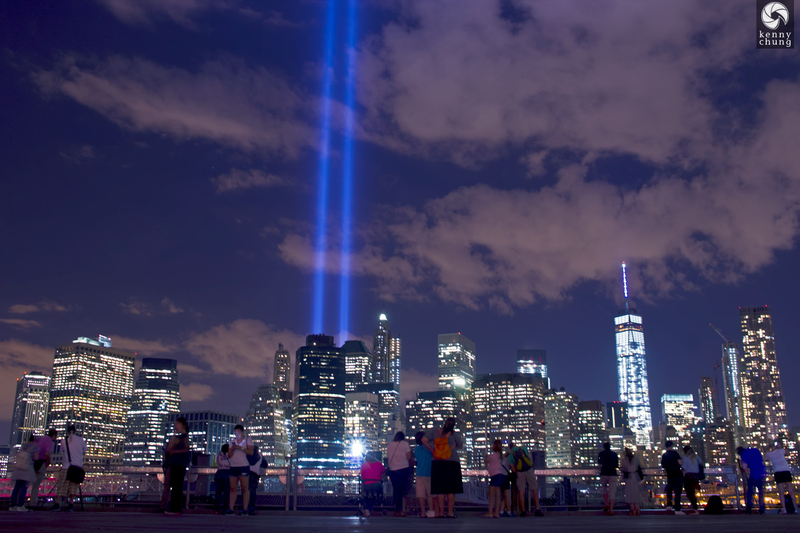 I find it hard to believe that it's been 14 years, but a lot has happened in NYC. The Freedom Tower was completed last year. 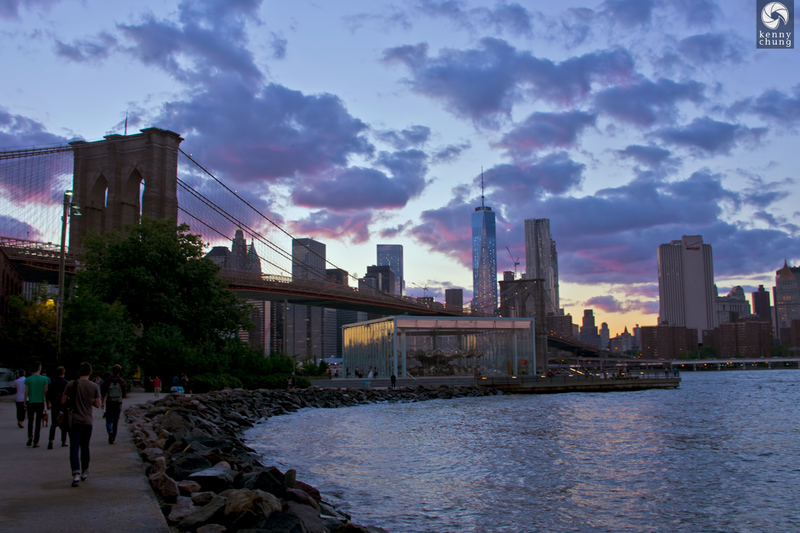 Brooklyn Bridge Park was completely revamped and is now more of a tourist destination than ever. 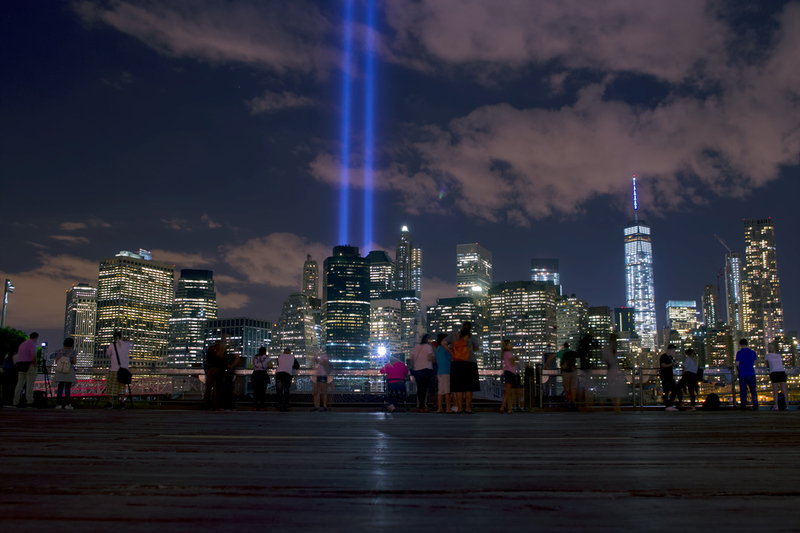 But most important of all, the city has healed but will never forget. 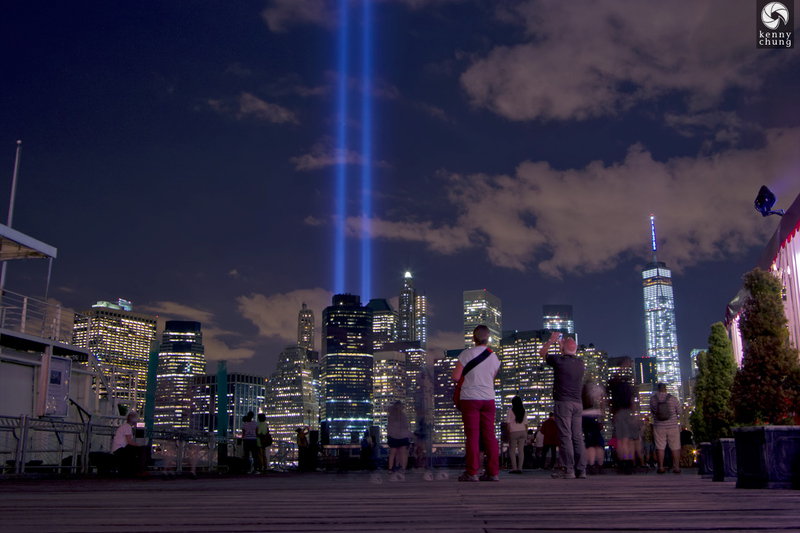 As a yearly tradition, I like to photograph Tribute In Light. 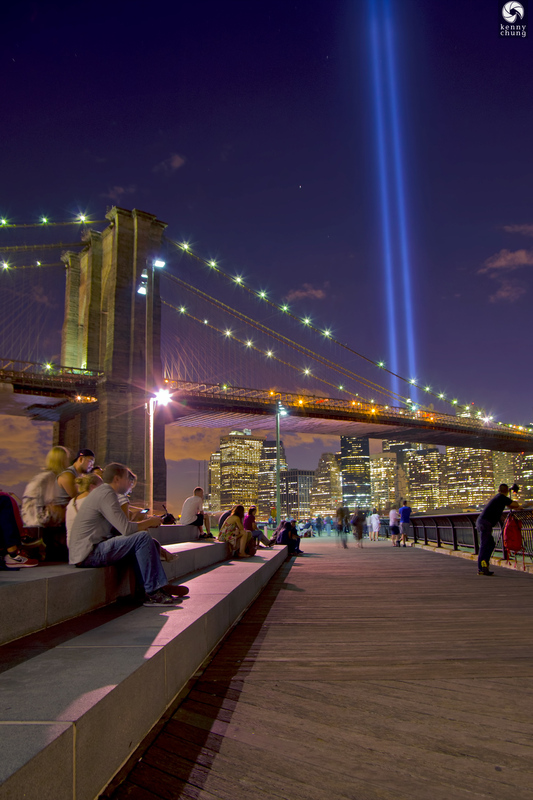 This year, I went to Brooklyn Bridge Park and Pier 1 to shoot the awesome site. 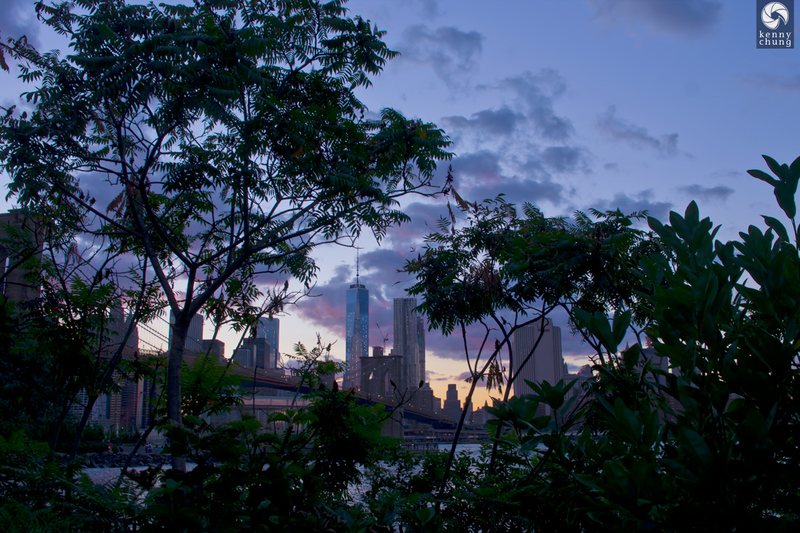 The view of the Brooklyn Bridge and Freedom tower through foliage. 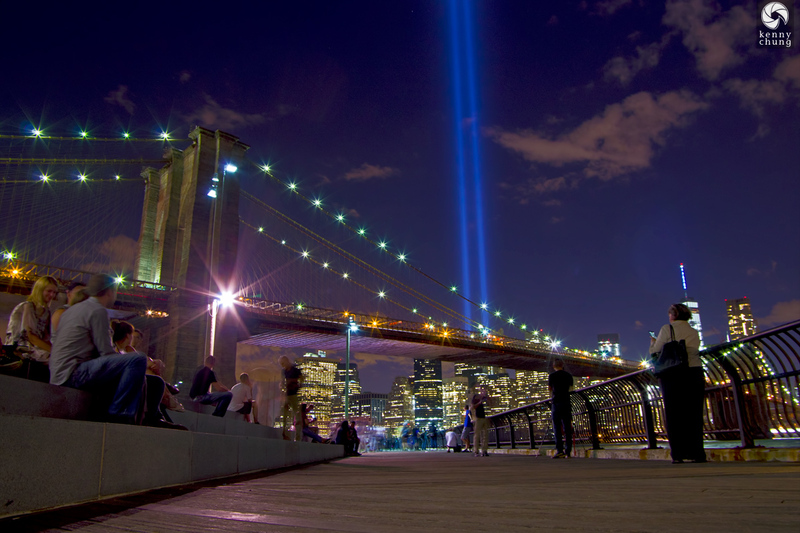 This was through the Brooklyn Bridge Park extension that just reopened. Jane's Carousel, and a ton of people walking to the edge of the park to take photos before the 7:12pm sunset. 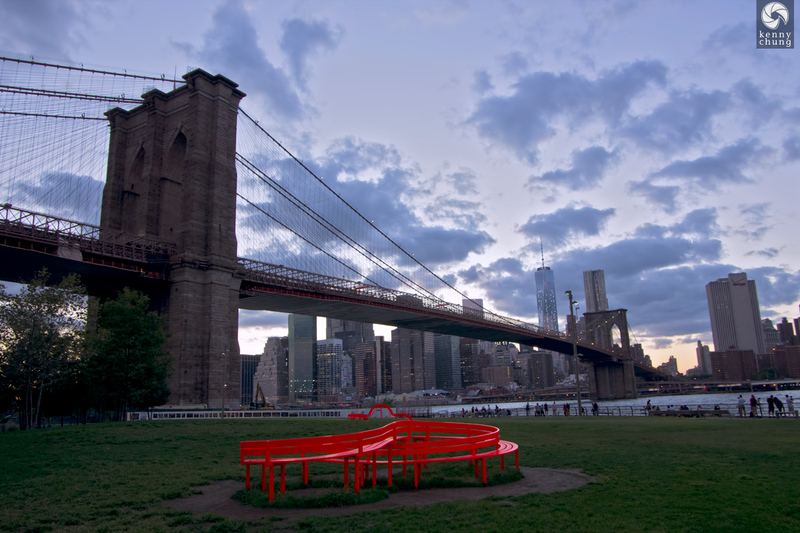 In recent years, Brooklyn Bridge Park has become known for its art installations. The famous stained "glass" house (Kolonihavehus) is now gone, but now there's a new exhibition from Jeppe Hein called "Please Touch The Art". This is one of the pieces on the lawn. The sunset took longer than expected, and a ton of people showed up to see the lights. 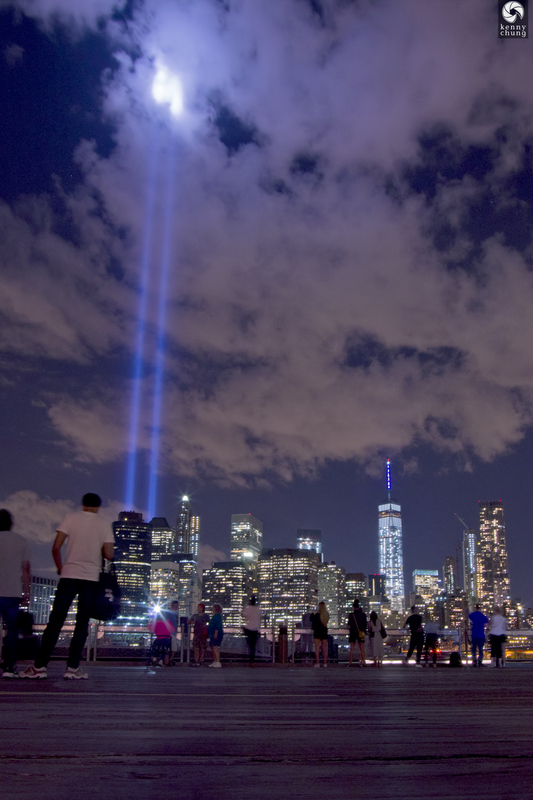 The beams of Tribute In Light reach toward the heavens, and are only interrupted by clouds. Headed over to Pier 1 and stopped to take this photo outside of No. 7 Sub on Water Street. Pier 1 also had its share of photographers. The city has really done an amazing job with the park and the pier in the past few years. 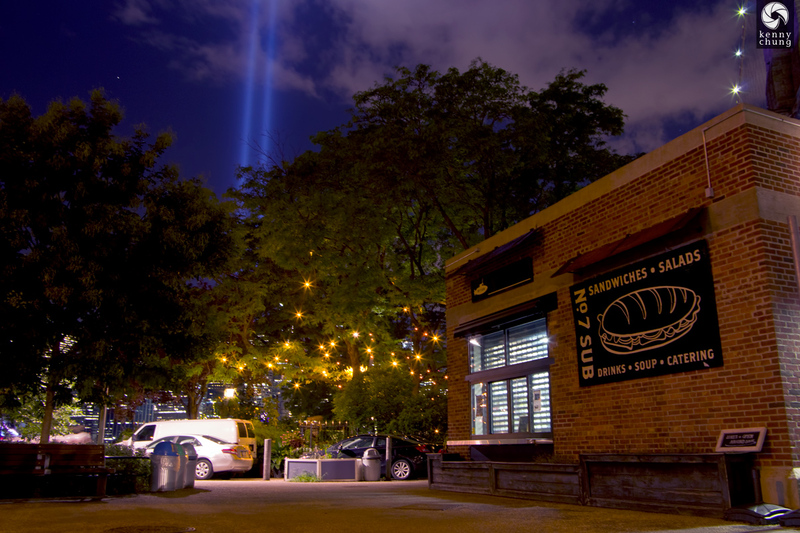 Last photo of the night, seeing the beams reach toward the clouds.